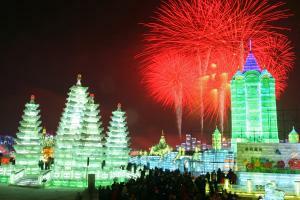 The ice and snow are Harbin's greatest attraction and always the themes of Harbin tour in winter. 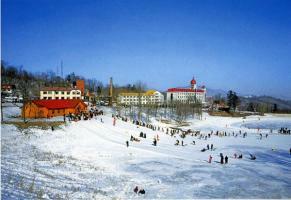 Multicolored ice lanterns, vivid ice and snow carvings and exciting ice sports will be sure to bring you lots of fun. Winter swimming is one of the most stimulating and interesting sports in Harbin. Harbin Yabuli Windmill Mountain Resort functions as a top winter relax center for tourist with a list of resort hotels, villas, skiing training schools, ski equipment rental shops, souvenir stores and snack bars. In 1999, Harbin city governors planed an new project to welcome the new millennium 2000. Thus a shining ice and snow Disneyland world of the fairy tales came out as one of city icons in Harbin. 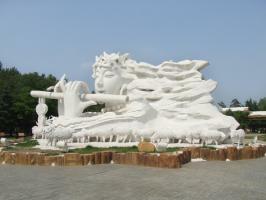 Every year, the Sun Island Resort Park in Harbin becomes a paradise for ice and snow festival tour. The Harbin International Snow Sculpture Art Expo held here exhibits about 2 months in winter.